Special counsel Robert Mueller believed he found the whistleblower that would bring down Donald Trump. This witnesses’ testimony would be enough for Democrats in Congress to finally impeach the President. 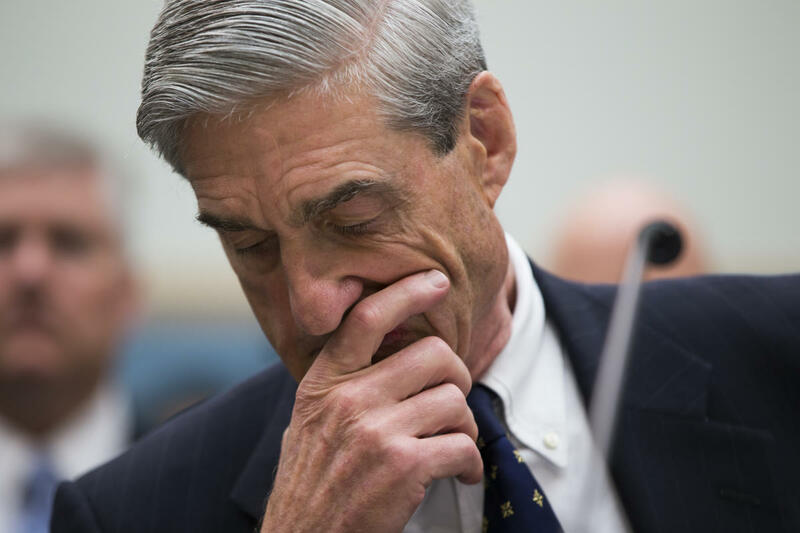 However, Mueller’s world fell apart when his star witness confessed to a jaw-dropping change of heart. Democrats salivated over former Trump attorney Michael Cohen planning to testify in front of the House Oversight Committee on February 7. In the wake of the Buzzfeed story about Trump directing Cohen to lie falling apart, Democrats believed this was their chance to rehabilitate that report and get Cohen to confess under oath about what really happened. They also dreamed Cohen would reveal previously unknown details about the Trump Tower project in Moscow which would prove that the business deal was really a front for the Trump team to collude with Russian intelligence in order to steal the 2016 election from Hillary Clinton. But those dreams crumbled when Cohen announced he would not testify at all. Cohen cited the ridiculous idea that Donald Trump “threatened” him and his family as to why he refused to testify. Lanny Davis – Cohen’s current lawyer and former Clinton hatchet man – released a statement blaming Trump. “Due to ongoing threats against his family from President Trump and Mr. Giuliani, as recently as this weekend, as well as Mr. Cohen’s continued cooperation with ongoing investigations, on the advice of counsel, Mr. Cohen’s appearance will be postponed to a later date,” the statement read. Trump brushed off this attack and told reporters that the only thing Cohen felt threatened by was the truth. “I would say he’s been threatened by the truth, he’s only been threatened by the truth … He doesn’t want to tell the truth for me,” Trump said in a White House gathering with reporters. Trump doubled down on the attack in a tweet the next morning. Cohen’s testimony would have only damaged the Democrats impeachment push. Many Trump supporters suspect that is why he canceled. Cohen would have been forced to admit under oath that Trump never instructed him to lie and that therefore the Buzzfeed story was fake news. His cancellation is a tip off that Mueller has nothing on Trump. If Cohen did have the goods on the President, then it would be in everyone’s interest for him to testify and drive the final nail in Trump’s coffin during a live hearing that would be broadcast on every cable and over-the-air network. But those hopes were just another anti-Trump fever dream. By canceling his testimony, Cohen revealed he’s been bluffing this whole time. And that is bad news for Robert Mueller.